Synopsis: It's Halloween in New Orleans and the festivities are going to be killer. With the help of her best friend Ave, Carmela Bertrand is building a giant monster puppet for the Halloween Monsters & Mayhem parade. Things get terrifying earlier than expected when they overhear an argument between Jekyl Hardy and Brett Fowler - and just minutes later they find Fowler's dead body. Carmela has known Jekyl for years and can't believe he'd ever resort to murder, despite the fact that Carmela has known Jekyl for years and can't believe he'd ever resort to murder, despite the fact that Fowler owed him money. But when another victim is discovered - who also had an unfriendly relationship with Jekyl - Carmela is convinced someone is framing her friend and now must find a way to unmask the real killer. 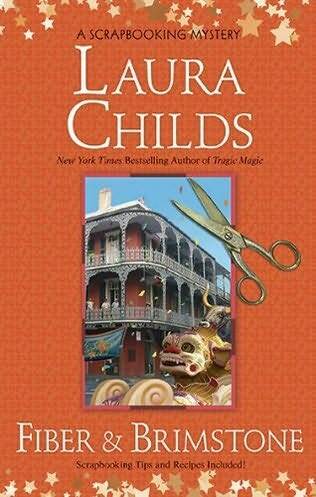 Laura Childs has a total of three cozy mystery series out. They are the Tea Shop Mysteries, The Scrapbooking Mysteries and The Cackleberry Club Mysteries. I invite you to read all of her books. Here is the link to her website where you can read more about her and her books. As I read a book I have a picture in my head of what I think the characters look like, what the setting looks like and so on. Do you do the same thing? I often read posts on blogs where people as what star do you think would be good in this role? I have a hard time with this as I never see a star in the role of the characters I am reading about. What are your thoughts? Do you pick someone famous as the characters or do you have your own vision? Another thing about books being made into movies, do you read the book first and then watch the movie or vice versa? Personally, I think I would almost prefer to watch the movie first. My reason is because some of the movies I have seen have been disappointing to me as they don't follow the book, they change things or the feel of the movie is not what I got from the book. There have been a few exceptions for me and that is Gone with the Wind, The Other Boleyn Girl and The Help. So how about you? 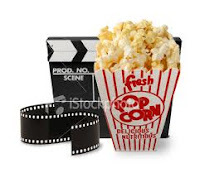 Do you have a book that was turned into a movie and the movie was just as satisfying as the book to you? What is the book and movie? Have you seen the new fad with books? They now have trailers for books just as they have trailers for movies. I must confess that I have not watch any yet. The reason being as I said before I like to have my own vision in my head of who the characters are, what they look like and where the story takes place. Also I don't see how you do a live trailer on something in print that does not have a visual to it only what you visualize in your head. I guess I am still old school on this point. How about you? Do you watch the trailers? What are some of the good ones you have come across? Synopsis: THWARTED QUEEN is a portrait of a woman trapped by power, a marriage undone by betrayal, and a King brought down by fear. My thoughts: I enjoyed reading this book as I love reading historical fiction. I have not read much about the Hundred Years War or Richard and Cecylee before so for me it was like learning about a new time for me. The way the author wrote this book - being narrated by Cecylee kept me turning the pages, I enjoy this writing style. The research that the author had to go through to write this book must have been a lot as she did a great job at keeping things as they should have been in history and how they happened. Cecylee is a strong woman but with the choices she made in life I think she was also sad. One last thing that helped to know who was being talked about in the book was that the author included a family tree and short bios of the characters, to me that is something I like and helps in reading a book. I give this book 4 stars. In case you were wondering, she is related to H. Rider Haggard, the author of SHE and KING SOLOMONS'S MINES. (H. Rider Haggard was a younger brother of her great-grandfather.) Cynthia Sally Haggard is a member of the Historical Novel Society. You can visit her website at www.spunstories.com. Welcome to the launch of Sandra Byrd's French Twist series on e-book. I am happy to be a part of this and to let you know about the books and giveaway. Book 1 - Let Them Eat Cake will be free from February 10-14 and Books 2 & 3 - Bon Appetite and Piece de Resistance will both be just 99 cents for that time period. I hope you take advantage of this special deal. Now on to the books. Synopsis: Book One in the French Twist Series. So when a handsome young executive dashes into the bakery to pick up his high profile company’s special order for an important meeting–an order Lexi has flubbed–she loses her compulsion to please. Something inside Lexi clicks. Laissez la révolution commencer! Let the revolution begin! Instead of trying to fulfill everyone else’s expectations for her life, Lexi embarks on an adventure in trusting herself and her God with her future–très bon! My thoughts: I think Lexi is an easy character for a lot of people to relate to and a person we all want to be friends with. This book was a light fun read that I needed at this time. Another thing I liked about this book was how the author taught us a little bit about bakeries and French culture in a fun way. Christian chick lit seems to be becoming another favorite genre of mine to read. At the beginning of the chapters there are little quotes in French and English and I enjoyed reading them. One unique thing the author did that I enjoyed as well was the little notes and such that went along with the story. This book will have you craving lots of sweet treats so be sure to have some handy. I enjoyed reading this book 4 stars. 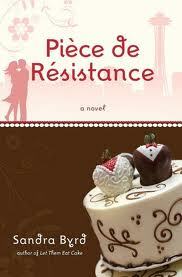 Pastries, Paris and romance–Lexi’s adventure has just begun! Lexi Stuart is risking it all. Saying au revoir to the security of home, her job, and could-be boyfriend Dan, Lexi embarks on a culinary adventure in France to fulfill her life dream of becoming a pastry chef. As Lexi lives her dream, the only thing she has to do is choose from the array in life’s patisserie display window: her familiar home, friends, and family in Seattle or her new life in France. Lexi discovers that as she leans more on God the choices become a little clearer– and making them, well, c’est la vie! My Thoughts: Another great book in a fun series. I am glad that I continued on with this series and hope you will be too, if you do. I lived thru Lexi getting to go to France and taking culinary classes, what fun. As we continue on in Lexi's life you will see her faith grow as she does. This book is every bit as fun to read as the first one. Don't forget to try out the recipes in the books. I think another thing I liked about both books is how "real" Lexi is. I actually liked this book a little better than the first one - I am sure it is the traveling to Franch that has me hooked. Five stars for me on this book. Having earned her chef’s hat, Lexi Stuart bids au revoir to her glamorous and deliciously satisfying pastry mentorship outside of Paris and returns to her hometown of Seattle, Washington. There, she finds life unexpectedly complicated. She’s put in charge of a high-end catering bakery called Bijoux, which should be her dream job, but there’s a catch: She has to make this lavish bakery into a successful business in just a few, short months, which will require more than her ability to make an amazing wedding cake. In over her head and at a loss for creative marketing ideas, Lexi isn’t sure what the recipe for success needs to be. Stir in a complicated relationship with her French beau Philippe and his daughter, Celine, then add a dash of romance with down-to-earth lawyer Dan, and life suddenly contains more ooh la la than Lexi can handle. With the fate of her career and her love life hanging by a thread, the phrase “piece of cake” has never been more daunting. Lexi learns that she must trust the dreams in her heart and the God who put them there. My Thoughts: Another hit as we see Lexi grow even more. Lexi is back after having earned her place as a chef. Now Lexi has her "dream" job but she is still torn between Philippe and Dan. What more can I say about this book that I have not already said about the first two. I loved this one as well. 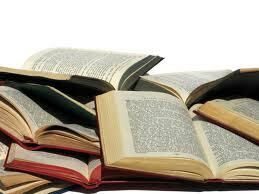 I suggest having all three book ready so you will not have to wait to find out what is next in Lexi's ventures. I don't know how Sandra did it but she has made Lexi so real you feel like you are reading about your best friend. If you love food, travel and chick lit like I do then you will fall in love with these books. I am sorry this series is over and won't know more about Lexi's life. Another 5 stars for this one. How would you like to know a little more about Sandra? After earning her first rejection at the age of thirteen, bestselling author Sandra Byrd has now published more than forty books. 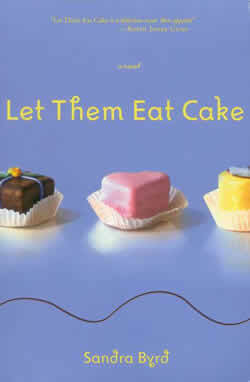 Her adult fiction debut, Let Them Eat Cake, was a Christy Award finalist, as was her first historical novel, To Die For: A Novel of Anne Boleyn. To Die For was also named by Library Journal as a Best Books Pick for 2011 and The Secret Keeper: A Novel of Kateryn Parr, was named a Library Journal Best Books Pick for 2012. Roses Have Thorns: A Novel of Elizabeth I, will publish in April, 2013. Sandra has also published dozens of books for tweens and teens. A former textbook acquisitions editor, Sandra has also published many nonfiction articles and books. She is also passionate about helping new writers develop their talent and their work toward traditional or self publication. As such, she has mentored and coached hundreds of new writers and continues to coach dozens to success each year. Please visit www.sandrabyrd.com to learn more, or to invite Sandra to your bookclub via Skype. I hope you enjoyed the books as much as I did. I know I am repeating myself but I just wanted this post to be on my blog this week to help MaryLu get the word out about her new book. It is not often that I have two book reviews to post in the same week as a book launch so please bear with me on the repeating. 1. How would you describe your new series Escape to Paradise? 2. What inspired the storyline for your new series? 3. How is this series different from your previous series? 4. What type of research did you have to do for Forsaken Dreams? 5. What are the most interesting facts that you learned while researching and writing Forsaken Dreams? 6. What surprises do your fans have to look forward to in your new series? 7. 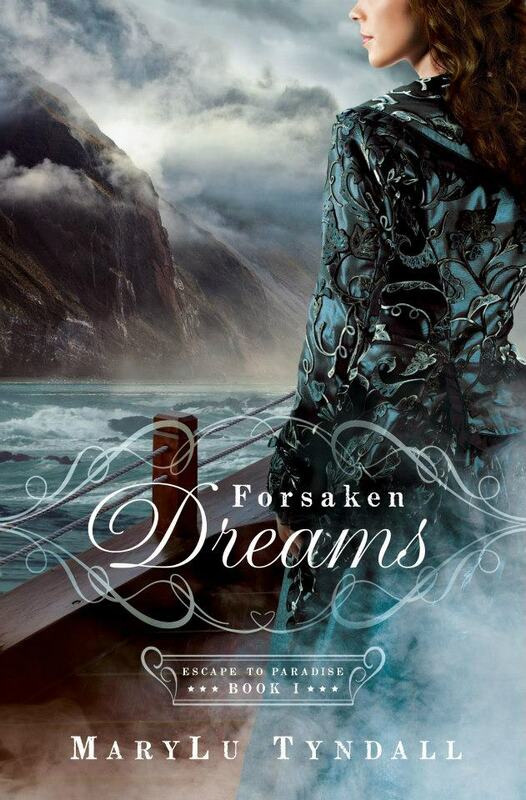 Do you have a favorite character Forsaken Dreams? Why? 8. What message would you like your readers to take from reading Forsaken Dreams? 9. Most of your stories revolve around swashbuckling pirates and sea captains. What draws you to write about them? 10, What are some of the challenges you face as an author? Meeting deadlines! I never feel like I can take a break and just relax when there’s a deadline shouting at me from my computer. Other challenges come in the form of negative reviews and harsh comments, most of which I’ve learned over the years to ignore. However, the occasional one slips through and stabs my heart. Then there’s the marketing aspect of being an author, which is most definitely my weakest skill. I’ve never been very good at selling myself, or in fact, selling anything, to anyone. 11. What aspects of being a writer do you enjoy the most? 12. What clubs or organizations are you involved with helping with your writing? 13. What new projects are on the horizon? Forsaken Dreams is the first in a trilogy entitled Escape to Paradise, so I’m currently working on the last two books in the series. After that, I’ll be in God’s good favor as to what He wants me to write next. 14. What was your favorite book as a child? 16. What do you do to get away from it all? 17. And, finally, where can your readers find you online? Check out MaryLu's blog Friday, February 8th, to learn more about the hero from Forsaken Dreams, Blake Wallace, and comment for a chance to win a copy of the book!" Look for my review in the near future. SYNOPSIS: Olympia Crawford Rubinstein has a busy legal career, a solid marriage, and a way of managing her thriving family with grace, humor, and boundless energy. With twin daughters finishing high school, a son at Dartmouth, and a kindergartner from her second marriage, there seems to be no challenge to which Olympia cannot rise. Until one sunny day in May, when she opens an invitation for her daughters to attend the most exclusive coming-out ball in New York–and chaos erupts all around her. One twin’s excitement is balanced by the other’s outrage; her previous husband’s profound snobbism is in sharp contrast to her current husband’s flat refusal to attend. REVIEW: I was a little disappointed in this book. I was expecting a little more from it. It was not a bad book but it was predictable in some parts. 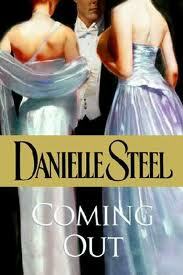 I am happy that I read it and will read more books by Danielle, I just think this one was not as good as some of her books. There were a few things I liked - I liked how close Harry and Olympia and how well her kids from her first marriage liked their stepdad. I loved Frieda - for some reason I think she was a hoot. I am giving this book 3 stars. SOURCE: Received from Blogging for Books for a fair and honest review. SYNOPSIS: Renaissance is a word with hope infused in every letter. 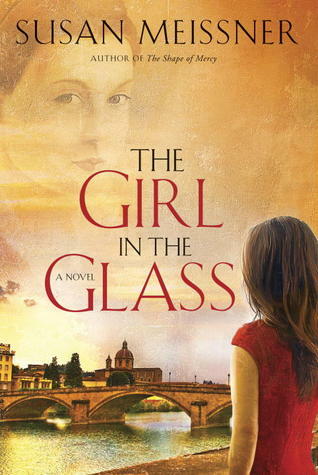 REVIEW: When I first saw this book I was not sure what it was about so I looked it up and saw it was about a girl and her dream of going to Italy. I too am a girl who dreams of going to Italy so I thought what a great book to read. I fell in love with the book from page one. In fact I enjoyed it so much that I took my time reading it as I did not want it to end. Meg has been waiting for her dad to take her to Italy since she was a young lady, her dad made her many promises to go and they always fell through, well finally her dream is coming true and she will be going to Florence, Italy. She has had made some friends through her work with a brother and sister writing team Lorenzo and Reneta) and she was also looking forward to meeting them when she gets there and let's not forget her new contact Sophia who is sending her copies of the chapters to a book she is writing and would like published. When Meg gets to Italy she finds herself alone with nowhere to go so she makes her was to Lorenzo's flat only to find him not home but much to her surprise Sophia is home. Sophia then invites her to stay with and a close friendship is quickly formed. Starting the next morning Sophia takes Meg on a tour each day of Florence where she not only learns some history she learns about life. I love the way the author wrote this book, I too learned some things and felt like I was right there with Meg all the way. There is something that just draws you to Italy. I will say the ending surprised me a little as it was not what I was expecting - I can't say a whole lot more without ruining it. I also liked how the author summed things up at the end of the book. This is the first book I have read by this author and now I will be heading out now to find more books by this author. I absolutely give this book 5 stars. *"I received this book for free from WaterBrook Multnomah Publishing Group for this review."